Charming and decorative this silver plated bridal headpiece is perfect if your looking for a traditional way to sparkle on your wedding day! 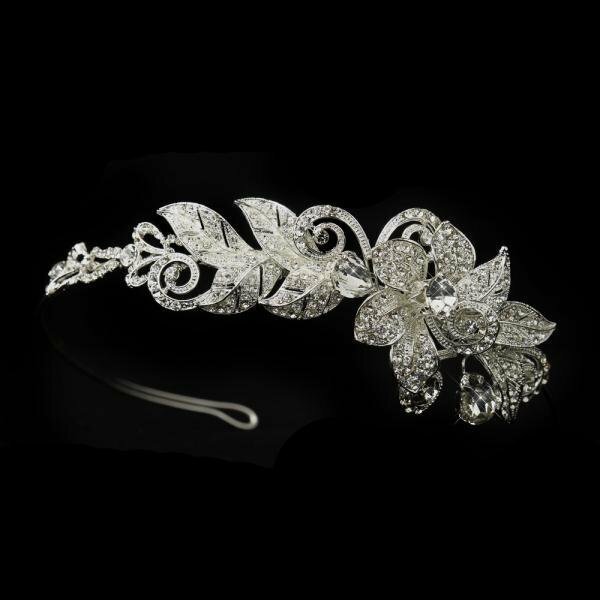 This headpiece offers a beautiful floral silver side piece that is encrusted with sparkling clear rhinestones and larger rhinestone accents. Also suitable for formal or prom headpieces. I have received my order delivered safely in my mailbox. It is a gorgeous piece. I am very pleased. I want to say thank you for your kind and timely assistance during the order process and after. I would love to shop again one day with How Divine.